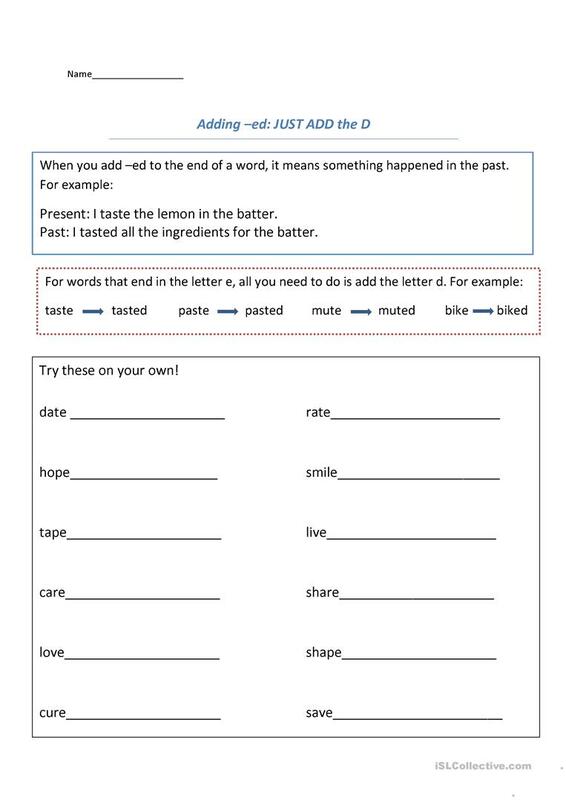 Help your student make words in the past tense, following the simple rule of just adding the letter d.
This downloadable worksheet is intended for elementary school students at Elementary (A1) level. It is a useful material for revising Past perfect simple vs continuous tense in English, and is excellent for honing your groups' Spelling and Writing skills. It is focused on the theme of Words easily confused. Beckie is from/lives in United States and has been a member of iSLCollective since 2013-01-11 17:37:18. Beckie last logged in on 2013-04-25 20:48:10, and has shared 1 resources on iSLCollective so far.